Nature’s best. 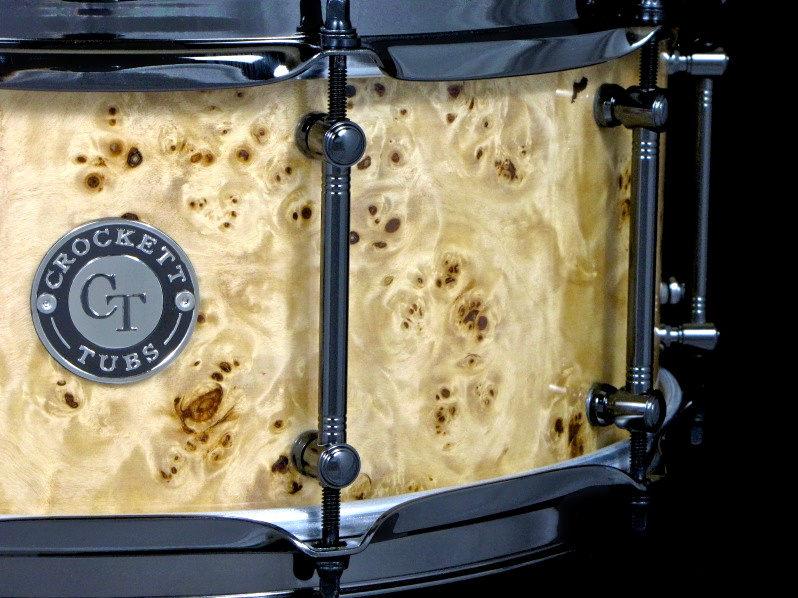 An exotic Mappa Burl veneer that features tons of curly and quilted figuring and a “peppered” burl look that looks killer on our high gloss lacquer. 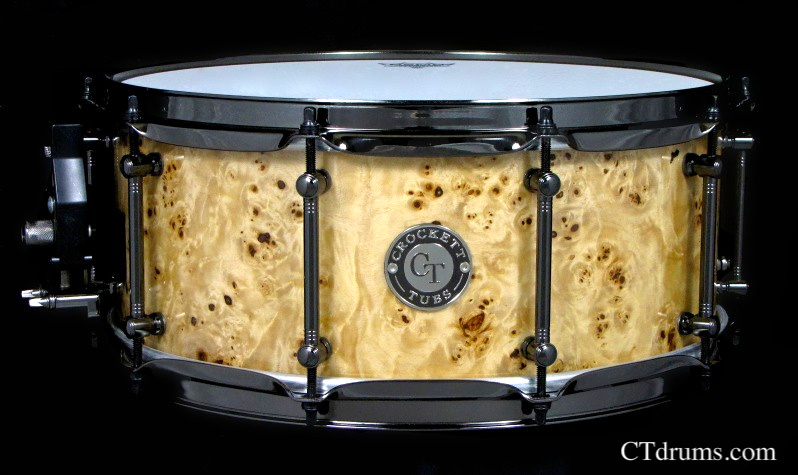 An 8ply maple Standard Series shell with our CT bearing edges and smooth snare beds. The natural finished veneer is really set off by the black nickel hardware. Hardware includes solid brass DF tube lugs, Nickelworks black with black nickel throwoff, 2.3mm triple flanged hoops for a more open full bodied tone, german snare wires and Remo drumheads. 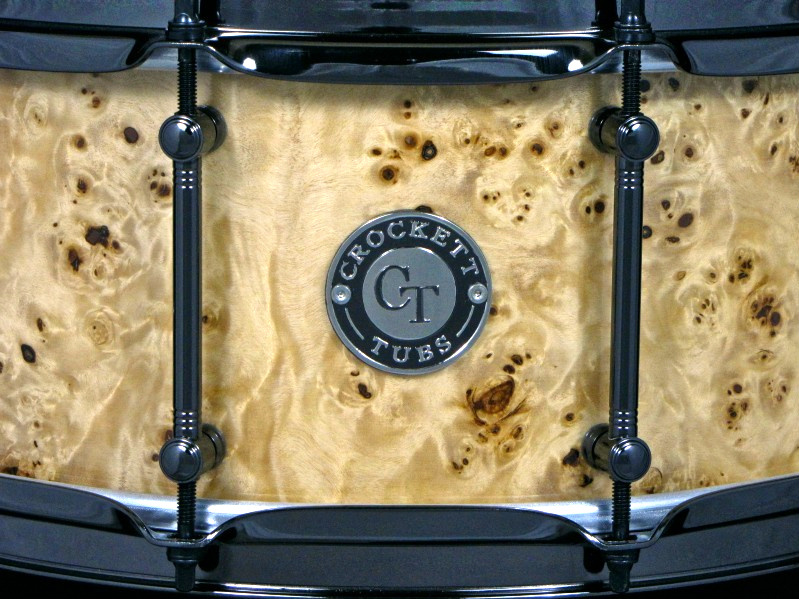 Posted on December 18, 2010, in Snares, Standard Series, Unique Builds and tagged 8ply, black nickel, burl, exotic, GN, hardware, maple, mappa, snare, standard series, tube lugs, veneer. Bookmark the permalink. Leave a comment.